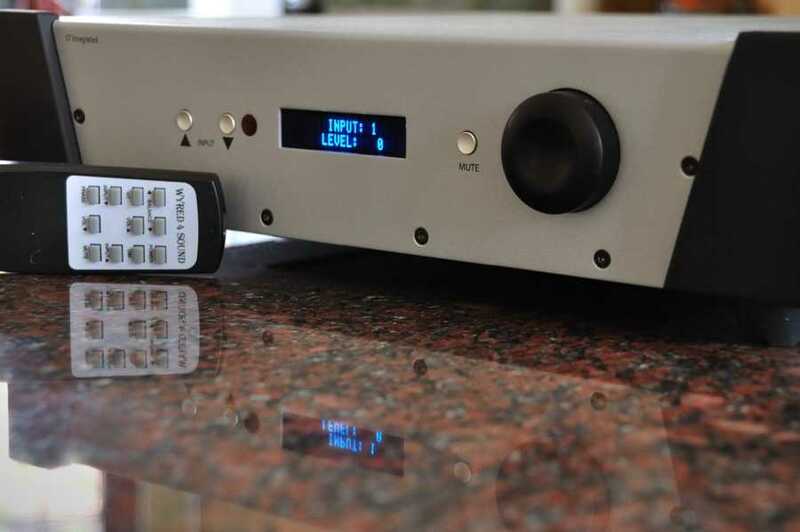 Integrated amplifiers seem to be making something of a comeback in high end circles. Maybe it's their relative economy in these recessionary times. Maybe it's to do with the new digital technologies changing what can be achieved in a single box.I recently had the chance to spend a little time with the Wyred4Sound ("W4S") STI1000 integrated amp. Although it wasn't around for long enough to make many comparisons or really put it through its paces, I did have it for long enough to form some first impressions that I can share with you. The STI1000 is a substantial piece of kit although physically smaller and lighter than you'd expect for such a powerful beast. Style is the same "hospital chic" that characterises their DACs. Good build quality and pleasant enough to look at but not going to win any style contests. Professional feel. The casing is solid and the hardware substantial with hefty binding posts, four RCA and one pair of balanced XLR inputs. There's also an output for use, typically, with a sub-woofer.There is also a home theatre pass through which has a fancy switching arrangement to allow the volume of all of the amplifier's channels to be controlled by a separate receiver. The black plastic cheeks look better to me on the amp than on the narrower DACs where they tend to crowd the display a little. The remote control is a disappointment. It's the same as the one provided with their DACs - small, plastic and with a slightly, for me, unintuitive layout. It's not remotely in the same league as the remote you get with a £300 Cambridge Audio CD player - which is pretty unimpressive on a two grand amp. Having said that, it does work fine, and controls all the main functions as well as offering a balance control - an unusual capability these days but potentially very useful. The "1000" in the name refers to the total RMS output of 500 watts per channel into 8ohm (nearer 1000 per channel into 4ohm). This means it has the power to drive any speakers with enough in reserve to deal with, and deliver, massive dynamic swings in the music. Most of all it can do this without any hint of distortion. 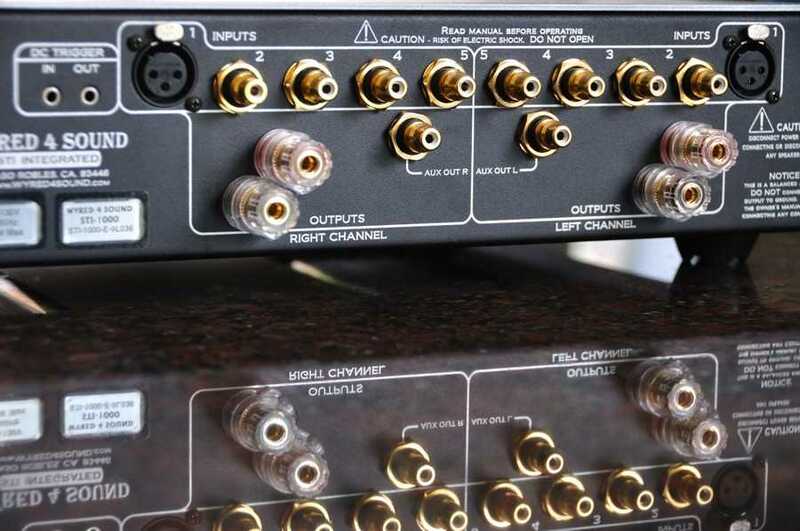 The two channels are kept entirely separate in the casing to the extent that the inputs for each channel are on different halves of the rear of the case - all the left inputs on the left, all the right ones on the right, rather than one above the other. The first impression made by the amp is not one of power but of accuracy. There is an absolute cleanliness that is neither warm or dry, it is just clear and detailed. I tried the amp with Lumley LMS250s and pair of Usher Audio Be718's stand mounts neither of which are sensitive speakers. It drove both to ear splitting levels with no discernable strain. It sounded good with the W4S DAC-2 as a source which I found slightly warm in my regular system but its weight and body really shone with the STI1000. By comparison, it made an Antelope Zodiac+ that I had also been listening to sound a little lean - not a result I was expecting since in my system the Antelope DAC was comprehensively the better converter. I guess it goes to show again the importance of system matching. The accuracy helps to draw instruments very clearly. I was struck by how well it defined small percussion sounds in the back of the soundstage. Since I first heard the pristine sound of a Tripath amp at low volume I've liked that great purity. This has all of that refinement but in a monster amp that can also deliver dynamics. It won't warm your sound or provide anything that's not there in the source but it does give an absolutely clear picture of the music spread out in front of you. The W4S STI1000 is a very powerful, clean, natural sounding amplifier. It will be unlikely to satisfy those looking for a warm, tube sound although it is not by any means cold. It is possible that with some sources it could sound a little lean so system matching should be considered as always. But it does have the capcity to deliver some of the grace and elegance of a good tube amp along with the power of a massive muscle amp, all in a regular single width and height case. With the exception of the remote control it is a good, well built package that seems to me likely, on the basis of my limited time with it, pretty good value for its not insubstantial price.